Xolo has been throwing in many Era smartphones lately. Not too long ago we saw Era HD and Era 4K and now the domestic manufacturer is pitching Era 4G, an entry level handset which supports 4G LTE connectivity. Since all smartphones have already migrated to 64 bit chipsets, the presence of 4G is something that comes as a side bonus, since all 64-bit chips today are 4G LTE enabled. So pretty much every new phone you buy supports 4G. What else Era 4G got? Let's see. The handset comes with a 5 Inch HD display protected by Gorilla Glass on top. The handset is powered by low-cost 1.5GHz Quad-core Spreadtrum SC9830A processor with Mali-400MP2 GPU, 1GB LPDDR3 RAM, 8GB internal storage and microSD card slot to further augment it. For photography, there is 5MP rear camera with dual LED flash and F2.0 aperture 5P Largan lens, and a 2MP front camera also with LED flash. Megapixel count is futile when it comes to judging camera performance, but on paper everything sounds good for the price. Other features include Android 5.1 Lollipop, dual SIM support, VoLTE support, 2500 mAh battery and VoLTE support. VoLTE allows you to route voice calls through 4G bands for better quality. You data remains on even when you are on a call. The TSP support for the same is missing in India as of now, but Reliance Jio will soon bring VoLTE support to India. Xolo Era 4G is most phones you can get at this price. Its hard to recommend anything with less than 2GB RAM with a 64 bit processor, but basic users might be able to make ends meet. Xolo Era 4g Price in India is 4777 INR. The best price of Xolo Era 4G is expected to remain 4,777 INR for sometime since the handset is exclusive to Snapdeal. You will have to register for the sale, which will be held on 26th February. You can also keep taps on the lowest price of Xolo Era 4G by setting an alert above. Expecting below par performer but it was shockibg good. Battery capity 2500 should be 3000mah. Sometime phone reset only network like it turned on airplane mode 10second later you get signal automatically. I bought this phone in september 12 in 2016.now this phone is not working well.accessories are damaged internally. 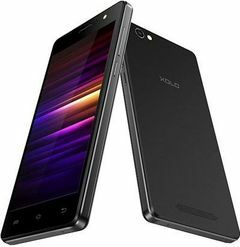 I bought an xolo era 4g in march 2016, i am giving my review in dec 2016. It is an excellent phone at this price range. The specifications given are mostly found in high end mobiles. The hardware and software are of really very good quality The phone doesnt hang. Really an excellent performer Battery backup is good. The mobile is more than just value for money. camera quality is ok. not bad. Headphone quality a bit poor.